Hello there, today I want to share you how to get rank on google and also increase my traffic by Facebook. So many people have problem with traffic to their website. Many people use shortcut way to get high traffic on their website with buy. Just remember, if you get traffic on your website will get increase but not for long. Because with buy usually is limited and not stand for long time. That is just my opinion based on my experience and also I read from website which contain article about it. Usually if you watch carefully of the pattern of visit time from paid traffic they have limited for each visitor with different country. But for your website traffic is really awesome, may be for a day you will get 100 visitor or more than that. And that is fantastic. Slowly but sure, day by day my website have good traffic and a lot of come and gone. Just I tell you earlier that more than 100 visitor from all over the world come to my website. And this make me happy. My dream to get traffic is come true. Then I tried to checked my rank on alexa, I am surprised about my website result on it. From zero alexa rank become 6 M on going increase for a month. After one month, then my website become empty from visitor. I begin more slower visitor came to my website But my ranking on alexa is not changed at all for than 2 month. Then after two month my Rank on Alexa is going drop until 11 M and become zero again. There are best and free method to drive traffic and get Rank on alexa. It have been told that best way to drive traffic to our website is by social media such as Facebook. I have been tried using Facebook for a month without any cost at all and it bring my website have traffic everyday. The key to get traffic is update your website article that useful for others or reader. Then go follow group that have niche or may be support or could boost your website rank. And the last word that you must be attention to your website traffic is by using traffic measurement such as histats, shinystats. 15 Responses to "FREE WEBSITE TRAFFIC WITH SIMPLE WAY"
Oh that's interesting! I haven't really learned much about SEO and all that so it's nice to see posts about it! Great. First time to encounter this. Picked up a thing or two. Thank you for sharing. Very interesting. I try to keep a close eye on my SEO. I've never paid for traffic to my site. This is great information, and so useful for us bloggers to know too! Thank you for sharing this. Informative and useful post for all new passionate bloggers out there. Thanks for sharing your experience. Great tips for all the bloggers. Your experience and expertise is very helpful for everyone. Great tips! I will use them in promoting my site! Thanks for posting this helpful article. I am kind of interested with ALEXA. I have paused my blog for now but would want to resume it in the future. Social media also helps. Content still matters most, when I got time then i give focus on social media. 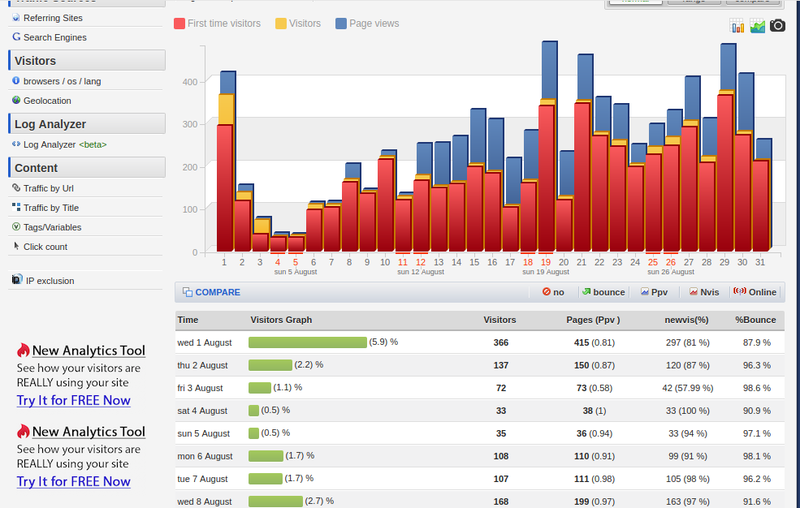 Bringing traffic to your blog is really tough. We have to try different ways to see which one best fit our blog. But thanks for sharing your honest experience.